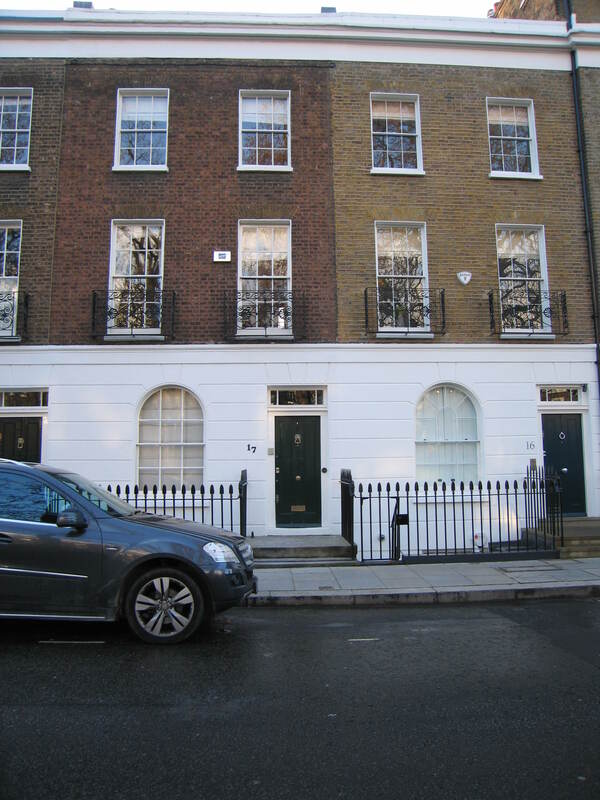 It was easier than I thought it would be to find where Sara Jeannette Duncan lived in Chelsea — or, actually, Mrs Everard Cotes. Yesterday, at the public library of the Royal Borough of Kensington and Chelsea, I checked two cabinets of index cards and one street directory before I found her listed in the 1920 Court Directory (similar to the soon-to-be-extinct telephone book white pages). Drum roll please. 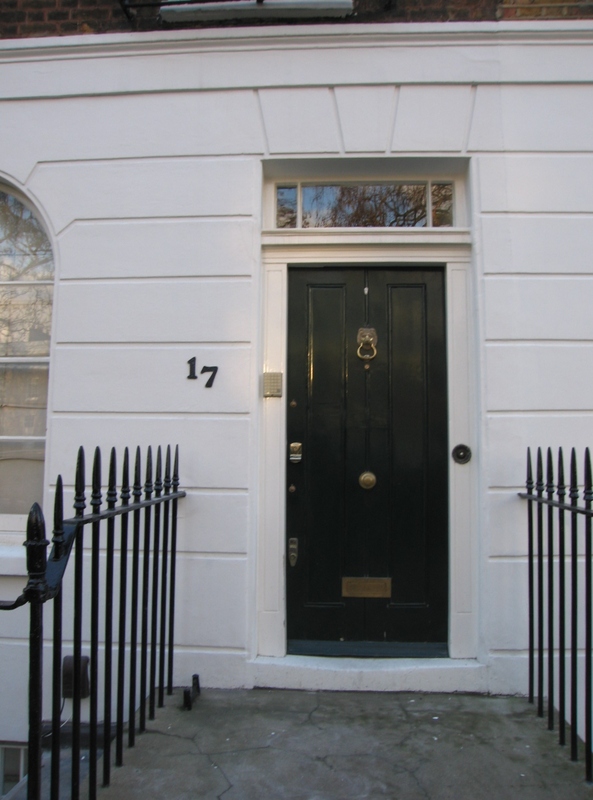 She lived at 17 Paulton’s Square, or Paultons. I checked it against the street directory, where I learned that her husband continued to live there at least until 1927; he is not listed in the 1929 directory at that address. There were many other Duncans and some other Cotes listed in the directories. How do I know that this is the right Mrs Everard Cotes? Well, the area and the dates correspond, but I might just have to pay a visit to another archive to confirm the address. Or someone could pass this on to someone who knows one of two Duncan scholars…. There was a map in the directory, so I unfolded it and had a look. As I noticed that she lived down near the river, I couldn’t help but wonder that the librarian was not stopping me from unfolding the map and squinting at it. I had the same feeling of unease as I’d flipped through the directories, which the librarian had suggested I use to start my search. What is old and precious in Canada is here on the shelves of the reference section of the local archives. Also available for my use was an ordinance survey map. 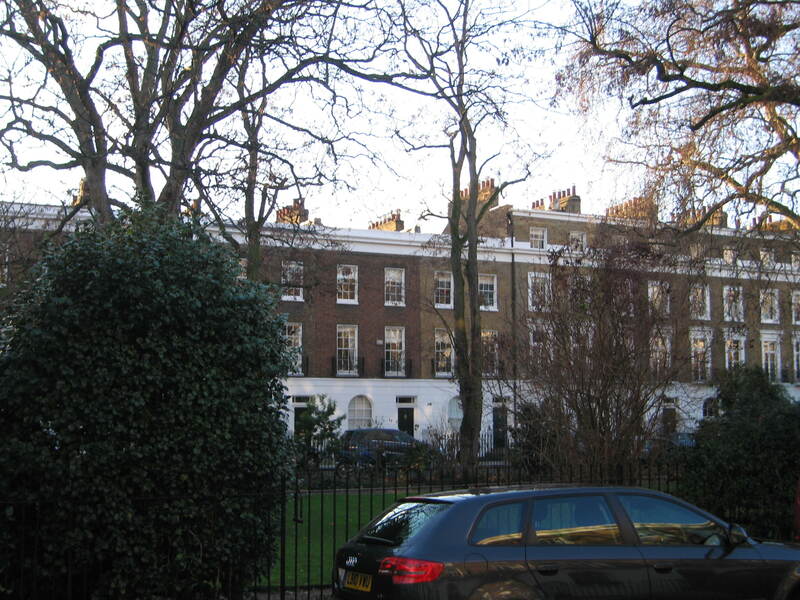 Duncan/Cotes appeared to be in a kind of workers’ row house, as her neighbours included a plumber and some residents listed as occupying flats. Today I went to her neighbourhood to take pictures. I found the square quite easily, off the King’s Road. Number 17 is on the west side of the square, which is really a parallelogram, as it is quite a long square. The buildings on either side of 17, although attached, are slightly different in the colour of brick. The librarian did mention that while the buildings may be original, a lot of work was done on the buildings at that time to modernize them or upgrade them. I wonder if the numbering was ever switched around? The park in the middle of the square is open and pleasant, with a playground and flowering bushes. (Yes, flowers in January.) So many garden squares in London have such dense high foliage around the fence that you can’t even see in, never mind get in (these are locked gardens available to residents only). This one felt open and sunny. At the end of the street from the south-eastern corner of the square there is a pub, the Pig’s Ear, which looks like it may have been around to serve her a bowl of soup or toddy. 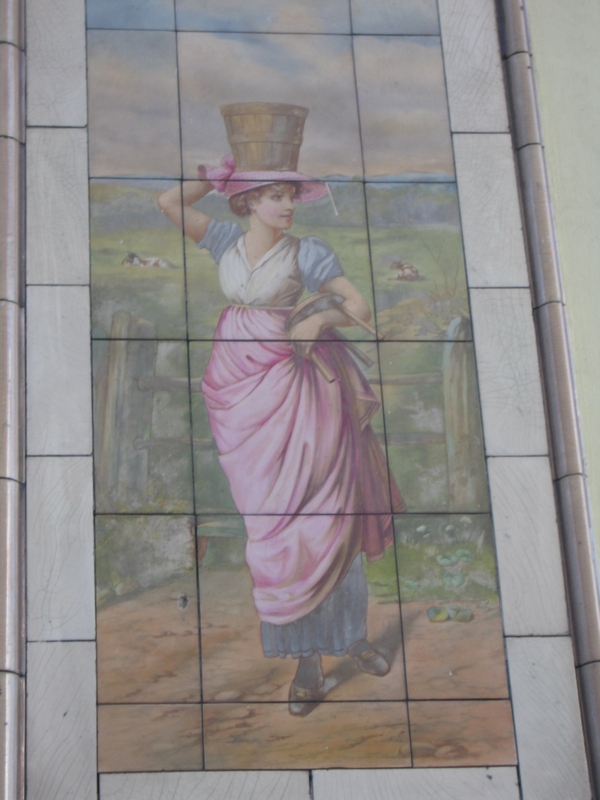 Perched on a wall opposite the pub, looking on from across the street, is a country maiden, done in tiles. She captures the earlier history of the area, when this part of London was still partially rural, taking deliveries from the river to cart into town — a history of which Sara Jeanette Duncan may well have been aware. I like to think that the maiden was on that wall when Duncan walked past on her way to the library, that the freshness of her image might have made Duncan feel a bit better, maybe even breathe easier. She certainly had that effect on me. Postscript the next day: This may have been where Duncan lived from 1919-1921, but where did she live in London before that? If Cousin Cinderella, about a Canadian in London, was published in 1909, where did she live before writing it? Someone has already sent me a link to a source that seems to be working on exactly this. More to come. Nice post. I’ll pass it on to Barb who has studied SJD a bit in conjunction with her (Barb’s) work on Canadian women journalists of yore. Expert sleuthing, my intrepid Canadian friend. I look forward to hearing more.